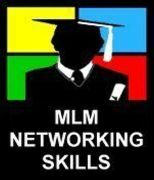 for all MLM and Network Marketers and entrepreneurs in any field. or services will be promoted and no recruiting will be allowed. sessions by speakers visiting the Toronto area. Your Organizers: We're Bob & Anna Bassett, retired Teacher and Private Investigator. We started our networking career in 1999 and made just about every mistake in the book. Now that we're a bit older and a lot wiser, we want to help others avoid the same mistakes! We look forward to sharing ideas and helping you any way we can! Please join us! Lots of laughs between the insights! PPS Please also visit our blog at http://www.TogetherToTheTop.com. Thanks! P.S. Get trained by the best - Tom Big Al Schreiter!